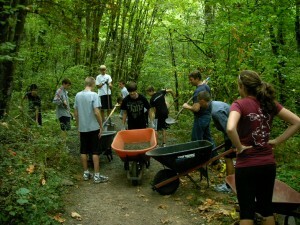 Springbrook Park is ideally situated as an outdoor classroom for the students of adjacent Uplands Elementary, Lake Oswego Junior High and Lake Oswego High Schools. It has already benefited from a number of Boy Scout and student projects developed and coordinated by the Friends.The growing involvement of neighbors, users and students is the key to the health and enjoyment of Springbrook Park, so please check the calendar below for upcoming events, then contact our Volunteer Coordinator at Tom.Bland@SpringbrookPark.org and find out how you can help. 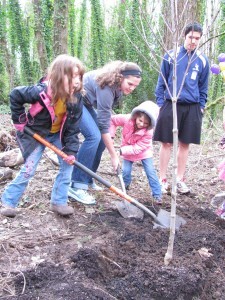 General Description: Work with local students to learn about and explore their neighborhood natural area. 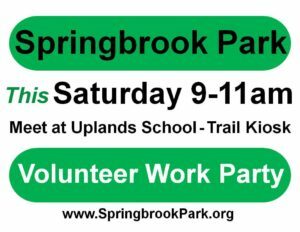 Project Details: A member of Friends of Springbrook Park will partner with Lake Oswego School District and district faculty to develop and implement curriculum that encourages students to learn about and explore the plants, animals, and ecosystems of Springbrook Park.